The reactions to the National Assembly’s motion to amend South Africa’s constitution for the expropriation of land without compensation underscore how divided South Africa remains. The reactions to the National Assembly’s motion to amend South Africa's constitution for the expropriation of land without compensation underscore how divided South Africa remains. The land issue is not going to disappear by simply wishing it away. Families were destroyed, lands expropriated and livelihoods lost. In a predominantly black country, it is unsustainable for a minority to hold more than 70% of commercial land. The protection of property rights in the constitution may benefit predominantly white landowners, but is not conducive to the commercial viability of the agricultural industry. The emotional reaction to the National Assembly’s motion to amend South Africa’s Constitution for the expropriation of land without compensation was a real loss. It denied the country an important opportunity to discuss one of the most important laws that has stood untouched since 1994 — the 1913 Native Lands Act. The reactions underscore just how divided South Africa remains. Instead of it being about finding the best ways to address a historical injustice, it all quickly deteriorated into a slug-fest with opponents and proponents exchanging many an unpleasantry. Alarmists flagged investor confidence, chaos, recklessness, Zimbabwe and food security. Those words were carefully chosen to cover a widely held belief that black people are incapable of running a successful commercial farm. The Transvaal Agricultural Union (TAU) took things a step further. It denounced the decision as legitimizing theft and the commencement of a process of nationalisation of land and property. (Note how the name Transvaal has remained an integral part of the organisation). According to the TAU, the historical claim that black people were forcibly removed from their lands without any redress in just a lie. Populists were also not to be outsmarted — painting all commercial farms racist. They threatened Zimbabwe-like land grabs if the government did not move quickly to address the situation. They called for no consultations, arguing that black people were never spoken to when their land was forcibly taken away from them. While this in the main is generally true, it feeds to the racial stereotyping of black people as inherently disorderly. Never mind that President Cyril Ramaphosa has repeatedly said that everything would be done according to the law. With all those actors at loggerheads, down the drain went late President Nelson Mandela’s dream of a rainbow nation. This is indeed a sad turn of events on what should have been a much more sober debate about South Africa’s land question. Had it been less emotional, it would have started by acknowledging that an injustice was meted out against the vast majority of the country’s population and that it can no longer be left unresolved. In a predominantly black country, it is unsustainable for a minority to hold more than 70% of commercial land. The protection of property rights in the constitution may benefit predominantly white landowners, but is not conducive to the commercial viability of the agricultural industry. You just have to look north of Limpopo to see how white farmers, who largely remained indifferent to cries of their black counterparts, became a victim of opportunistic elements to the detriment of a successful industry. This is what South Africa should try and avoid: A disorganized mass occupation of agricultural lands that will leave everyone poorer. It is a painful past that has been with us since 1913 and there is a majority that feels that the 1994 political freedom has never been followed with economic emancipation. It is a reality to many who feel that only those who are close to the establishment are reaping the benefits of freedom. The issue affects just about everyone who wants to see the country succeed. Commercial farmers have invested heavily in modern agricultural technology to mitigate against the vagaries of nature. For the farms to remain viable, these farmers need to make profits. Banks have huge sums exposed to the industry through refinancing, bonds and collateral. If the land restitution occurs without taking into account the banks’ exposure, then the financial system could easily collapse. Then, there are farmworkers who on a daily basis toil on the land to make sure that we have enough to eat and export to various markets around the world. The passing of the motion should, therefore, be seen as a beginning of a process that should involve everyone who has vision of a peaceful future for their children. We also have an independent judiciary that will be able to adjudicate on what is just and what is equitable in the land restitution process. That is why it would have been much preferable if the debate had given the country an opportunity to shoulder equal responsibility to save the country from ruins. The continuing finger pointing we are witnessing instead leaves us nowhere to finding each other on what should otherwise be a joint path to economic stability. 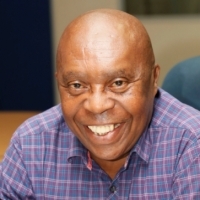 Sechaba Nkosi has traveled Africa extensively as a correspondent for numerous publications covering upheavals from the Democratic Republic of Congo to Zimbabwe and Lesotho.